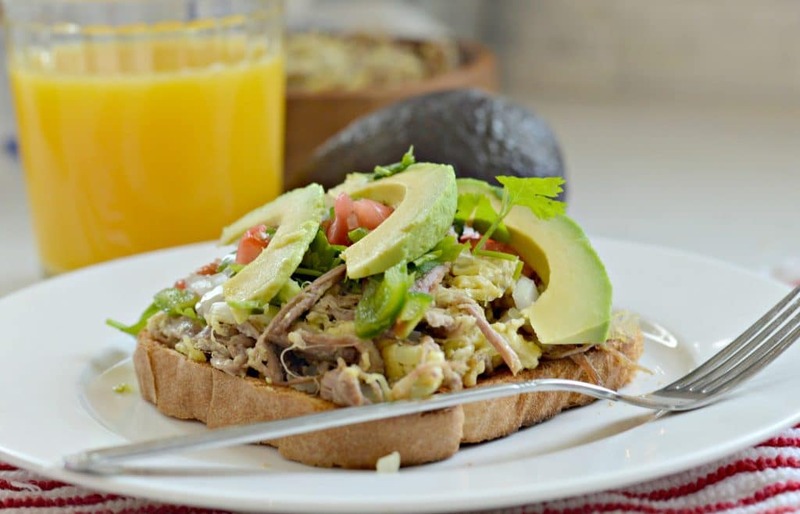 Avocado Toast with Machaca Eggs and Pico de Gallo is a perfect way to use delicious Avocados From Mexico. A quick search on my website will result in quite a few recipes using avocados. This is easily explained when you realize that I grew up on a ranch in Mexico with hundreds of avocados trees. I have always loved making recipes with avocados, especially Avocados From Mexico, because the possibilities are endless! 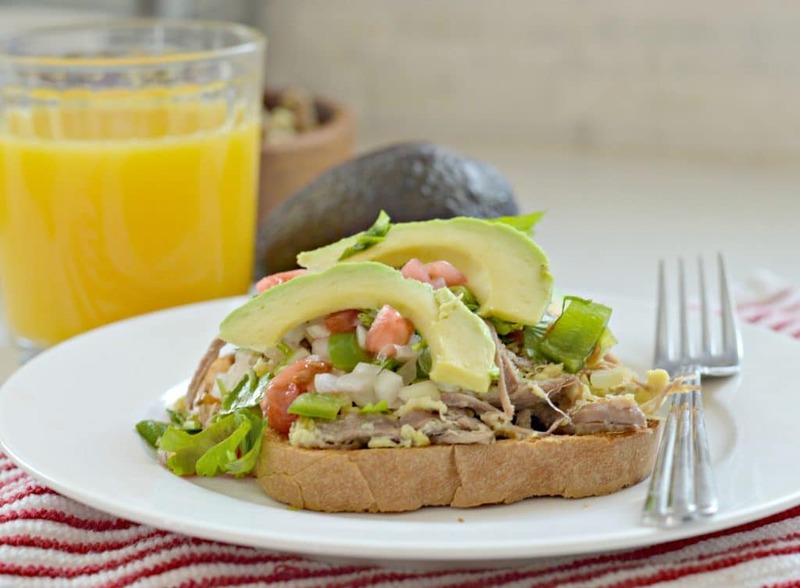 Check out the Vida Aguacate website and sign up for the Vida Aguacate Community for more great recipes. One of my new favorite things to do with Avocados From Mexico is to make avocado toast. This is such a simple concept, yet you can really go crazy with it. It really just consists of toasting a slice of bread, adding sliced avocados and letting your imagination run wild with other toppings. 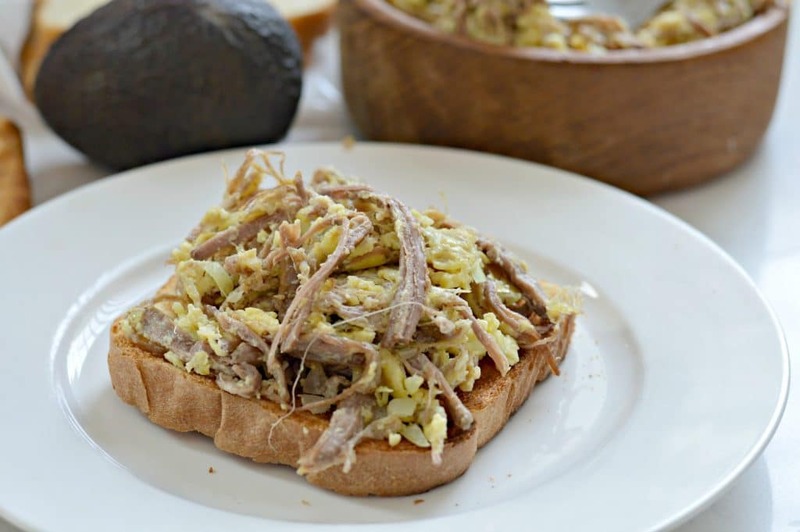 Right now, you can go here and find other recipes inspired by flavors from Latin America. Avocados From Mexico are a perfect ingredient for so many recipes because they are always fresh, always in season, and of course, always delicious! When I was growing up in Mexico, I was able to just walk outside and grab as many avocados as I could fit in my arms. Now it isn’t so easy, so I am glad that I can just go to the store and grab some fresh and delicious Avocados From Mexico. I know that they have the same great quality and taste as the ones that I used to pick from the trees, so I am confident putting them in my recipes. 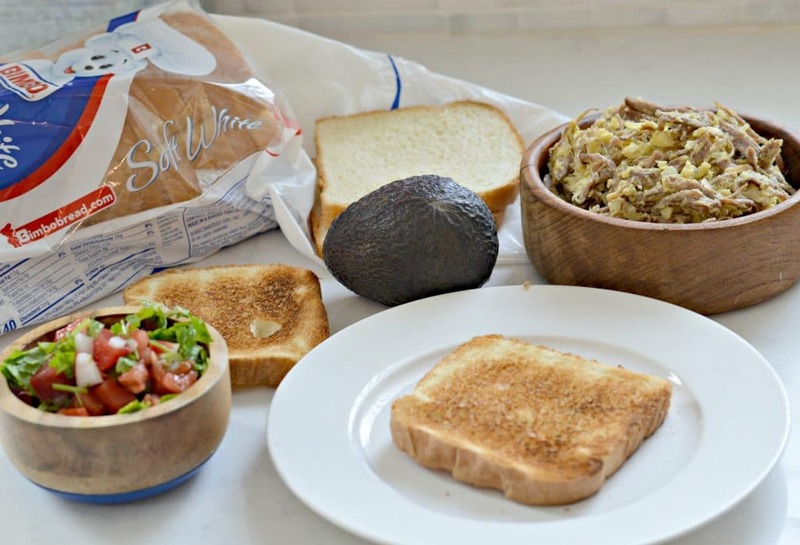 For my version of avocado toast, I started by toasting up some Bimbo® Bread, added some delicious Machaca eggs, and topped it with sliced Avocados From Mexico and pico de gallo. This was such a tasty brunch this morning and I am sure that you will love it too. 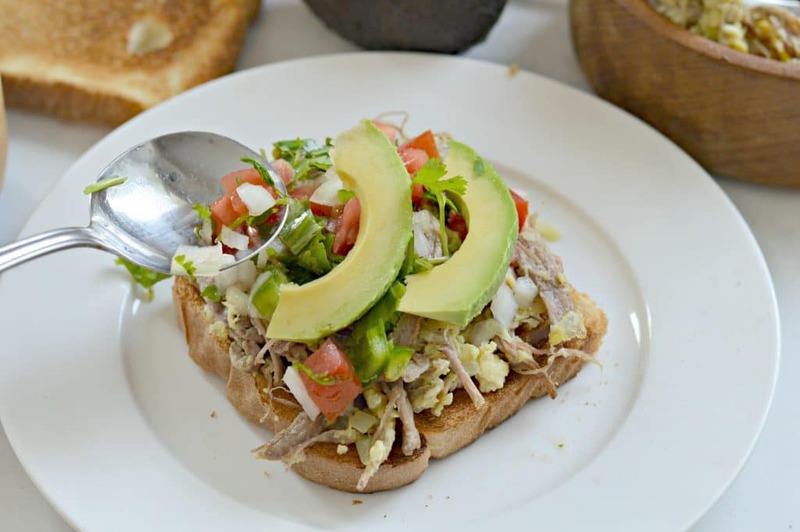 Since this is Hispanic Heritage Month, it is a perfect time to celebrate avocados and other delicious Mexican recipes. Don’t forget to subscribe to Vida Aguacate and please let me know in the comments what your favorite combination for an avocado toast is. 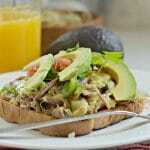 Add the machaca eggs, then top with the sliced avocados and pico de gallo.